Using the Color Sketch Effect the camera detects and colors the outlines of subjects in the scene for a color sketch effect. This Image was created using the in-camera HDR of the D5100 D-SLR. The two images were taken with exposures 3EV apart, and smoothing was set on low. An example of the in-camera HDR capabilities of the D5100 D-SLR. The Selective Color Effect allows you to choose a color or colors to show, while converting all other colors in the scene to B&W. This effect can also be used for D-movies. Nikon cameras make it easier than ever to express your creative vision—both with still photography and HD/Full HD video (some with 4K UHD)—so you can tell better stories. Whether you're using a Nikon DSLR, the new Nikon 1 interchangeable lens cameras or COOLPIX models, there are numerous fun features and creative modes available to you, to personalize your photographs and videos. One of the cool features of the Nikon 1 interchangeable lens digital cameras is the Motion Snapshot mode. It combines one second of video and a still image together for a unique new way to view your memories. You can even choose themed music for playback in the camera, and save the files to your computer. The video is actually recorded by the camera just before and after you "snap" the picture. To share the Motion Snapshots, you assemble the downloaded files together using Nikon View NX2 or ViewNX-i software, for sharing or posting on the web. Certain Nikon COOLPIX digital cameras as well as the Nikon 1 incorporate a slow motion feature that allows you to capture and playback video in slow motion. By adding slow motion footage to your HD video, you can create the kind of look that was once only possible in Hollywood movies. Many Nikon DSLRs as well as the Nikon 1 and COOLPIX models also let you shoot in timed intervals. You can assemble the individual images together to create a time-lapse video. Time-Lapse videos are popular ways to showcase the movement of the stars in the sky, or the sun across the sky from sunrise to sunset. Check your camera's manual to see exactly how these features work with the camera you own. Time Lapse Video  Time-lapse is a compression of time. Learn how easy it is to add to DSLR video. Slow Motion Video  Add slow motion to your DSLR movies for a unique perspective. Picture Controls let you alter the way the camera perceives color. Choose from monochrome, vivid, neutral, standard, portrait and landscape. You can change these settings as often as you like—even for each individual image you create! Picture Controls work on both still images and video/D-movies. For example, when you're photographing flowers and want the images to be super-saturated, use the vivid setting. For portraits, use the neutral or standard for more life-like color. Monochrome can give images an old-time feel. Picture Controls are accessible through the Picture Control menu. Within the Picture Controls; you can further adjust the Sharpening, Contrast, Brightness, Saturation and Hue for each one. You can also create custom presets. It's easier than ever to add fun special effects to your photography and HD videos with select Nikon cameras. Effects modes such as miniature, fisheye and selective color allow you to create really unique images. The effects are accessible when shooting still photos as well as video, and are visible to you in real-time, so you can see exactly how your images and video looks while you're shooting. No longer will you have to use complicated software to add a creative flair to your photographs and videos. You can get even more creative than ever before with the Effects mode that's been incorporated into many Nikon digital cameras. Once you select the Effects mode, simply scroll through the variety of effects to choose the one that's right for the subject at hand. Choose from Miniature Effect, Selective Color, Color Sketch, Night Vision, High Key and Low Key. The Miniature Effect gives your photos and video the look of being a scale model, while Selective Color turns an image or D-movie into monochrome, all except the specific color(s) you choose to leave visible. 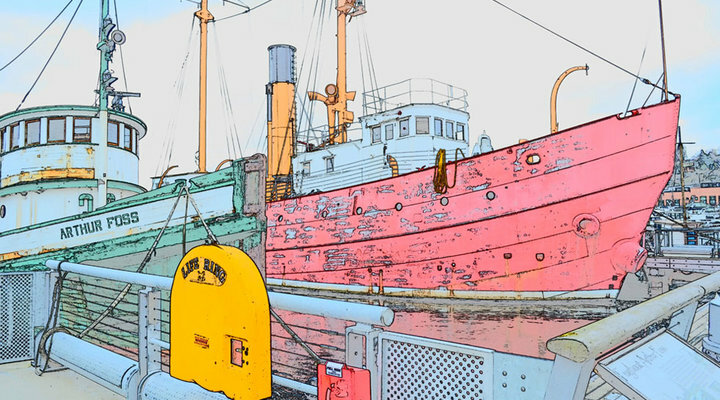 With Color Sketch, images and video look as if they've been sketched, with bold outlines. The D-movies in this effects mode will playback as a series of stills in a slide show. Many of these effects can be found on Nikon cameras, in the Retouch Menu, meaning you had to add the effect to the image after it was captured. But some of the latest digital cameras have the effects available to you in real-time, while you're capturing your still photographs and video/D-movies. By incorporating these creative effects into Nikon cameras, you have the ability to create stunning photographs and D-movies that utilize some of the hottest trends in photography today. Miniature Effect and Selective Color are both popular effects that you can use to expand your creativity. Another hot trend is High Dynamic Range or HDR photography and the many Nikon DSLR cameras feature a built-in HDR mode. No need to spend extra money on specialized software, or the time needed to manually create these photos, which combine over- and under-exposed image captures to create an image with a full range of highlights and shadows, The camera does most of the work for you. Just choose the EV range you want the images taken and select how much smoothing you prefer. Nikon has made it effortless to edit your HD or Full HD and even 4K UHD (select cameras) D-movie video footage—in the camera—using select Nikon digital cameras. You can choose to trim your video clips, from the beginnings or ends of the footage. You can also extract a JPEG still image out of your HD D-movies. You can also use Nikon software, which comes with your Nikon digital camera to put together your creations, including a mix of stills and video D-movies, to tell your story in the most unique way! If you're the more adventurous type, a variety of COOLPIX cameras as well as the Nikon 1 AW1 offers cool new ways for you to express your photographic vision even more. These cameras are waterproof which means you can shoot photos and videos as you snorkel, SCUBA dive, or frolick in the surf. Most of these models are also shockproof and freezeproof. Take one with you to the mountains and record video or snap pictures of snowboarders, skiers and ice skaters. These are the cameras you won't mind using during spring showers and in the crisp autumn air. And when on land, take advantage of select camera's GPS (global positioning system) features. You can record the latitude, longitude and altitude of the location you're shooting and view where on world maps you've been; even share that data on the web. Stimulate your creativity with the fun and artistic tools offered by Nikon's latest digital cameras. Early in his Nikon career Lindsay served as general manager of Nikon House in New York City's Rockefeller Center, where he hosted some of the world's finest photographers as well as photo enthusiasts and photo writers, editors and educators from around the world. 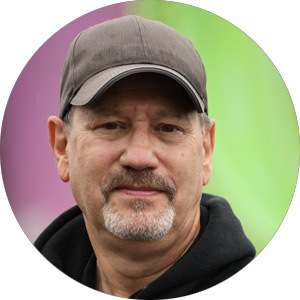 He has held technical, marketing and product management positions for the company, and for 19 years was a contributing writer, photographer and editor of Nikon World magazine. Tell better stories using the myriad of fun and artistic features built into Nikon digital cameras.